But let’s be honest. Our legal system can be complex and difficult to navigate without an attorney, and many people cannot afford one. Faced with problems like foreclosure proceedings, evictions, divorces, probate or consumer disputes, they try to manage on their own. That’s costly, not just for them, but for all of us. Investing in civil legal aid makes sense not just because it’s the right thing to do, but because that investment pays off for all of us, with a return of more than $7 for every $1 spent, according to a newly released study commissioned by The Florida Bar Foundation. From the $83 million spent on civil legal assistance in Florida in 2015, businesses experienced $274.8 million in increased revenue, and this, in turn, helped generate 2,243 new jobs, according to the study’s calculations. The overall $600 million return on investment also comes from savings to the court system as it runs more efficiently and avoids cases that shouldn’t be there. It comes from fewer domestic violence calls to police; from less demand for welfare and housing assistance; from more stable communities and home values; and from payments of past-due child support. And it comes from legal help in capturing the veterans’ benefits due to those Floridians who served their country, as well as reimbursements from federal Medicare and Medicaid programs, and more. I’m a lifelong Republican who, after a long and rewarding career in finance and politics, decided to seize the challenge of studying law in my late 60s. Since passing the Florida Bar exam, I’ve taken quite a few pro-bono cases, because the need is so great. These are real people with real problems. They may not be getting alimony payments; their condo association may not be responding to them. Sometimes all I need to do is write a letter, and a situation can be resolved, keeping it out of the courts. Having a lawyer on your side in meritorious cases can really make a difference. Community-based legal aid agencies have long served as that safety net for low-income Floridians in need of legal support. But due to in large part to the interest-rate sensitivity of one of Florida’s primary legal aid funding mechanisms, funding for civil legal aid in Florida has fallen to its lowest level in 10 years. According to the new study, “Economic Impacts of Civil Legal Aid Organizations in Florida,” every additional $100,000 of funding enables legal aid organizations to generate an additional $719,000 in economic benefits. That’s why bridging the justice gap will benefit us all. So what’s the answer? More volunteering by lawyers would help. Broader philanthropic support of civil legal aid as part of the spectrum of human services would also help. Contributions from businesses, including in-kind support for civil legal aid organizations, would help. The Florida Bar Foundation’s study, conducted by The Resource for Great Programs, offers solid evidence that foundations, donors and businesses can make a real positive impact by supporting civil legal services. Access to the justice system is a basic right, so let’s make sure that that access continues, for the good of all. Carl Domino served in the Florida House of Representatives from 2002 to 2010. He serves on the board of The Florida Bar Foundation. 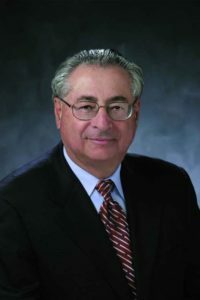 An investment manager who founded Northern Trust Value Investors, in 2014 he earned a law degree from Nova Southeastern University at the age of 70.